Beginners and re-certifying reflexologists go deeper with The Stone Institute’s theories of reflexology course. The course opens with a brief, but in-depth, exploration of the objective of reflexology, which is to balance the body. An underlying principle is to lessen (or heal) impediments to balance (health), including deposits. Extract: “A reflex is a specific area that when worked produces a change in the body. 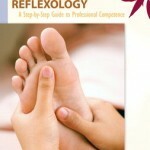 The reflex is not on the skin, but in the tissue.” Therapeutic Reflexology, p. 16. A high quality color illustration shows the location of a deposit in the human skin. Know the definition of reflexology. State the definitions of the energy medicine model and anatomical model. Name six theories that describe how and why reflexology works and three main points about each theory. This course provides the foundation for the next course, TR-SC3_Zone_Therapy_Meridian_Therapy_and_Reflexology. Image: Courtesy of Google images.